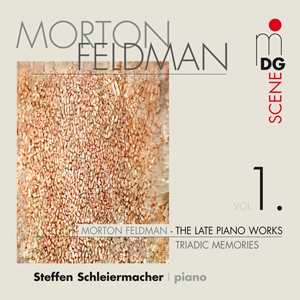 Feldman (1926-87) thought his Triadic Memories at c. 90 minutes rather a short piece. He believed that musical ideas had "a natural length to live out their lives", providing enough space to unfold. Seemingly repetitive, actually he rarely repeats literally, but is always subtly and continuously modifying recurring motives (Steffen Schleiermacher). Scelsi (1905-88) obsessively absorbed the world of overtones in a single note - his craving for simplicity led to extreme complexity. Reinhard Schultz tries to help us to comprehend this extremism, which led to many unique masterpieces of his own and towards the spectral music of the contemporary French school. The Quattro Pezzi (four pieces each on a single not) have become famous/notorious and have been recorded several times. Natura renovatur for strings is one of the most beautiful of Scelsi's works. Hymnos for organ and two orchestras is shattering! In his notes, Schultz grasps the nettle of the Scelsi enigma forthrightly. Whilst characterising Hymnos as "one of the grandest single movements from Scelsi's pen" but he states baldly eslewhere how Scelsi shied away from the term "composer"; he received sound, conveys it through improvisation and then leaves the working out of its notation to "a composer he hires " ! 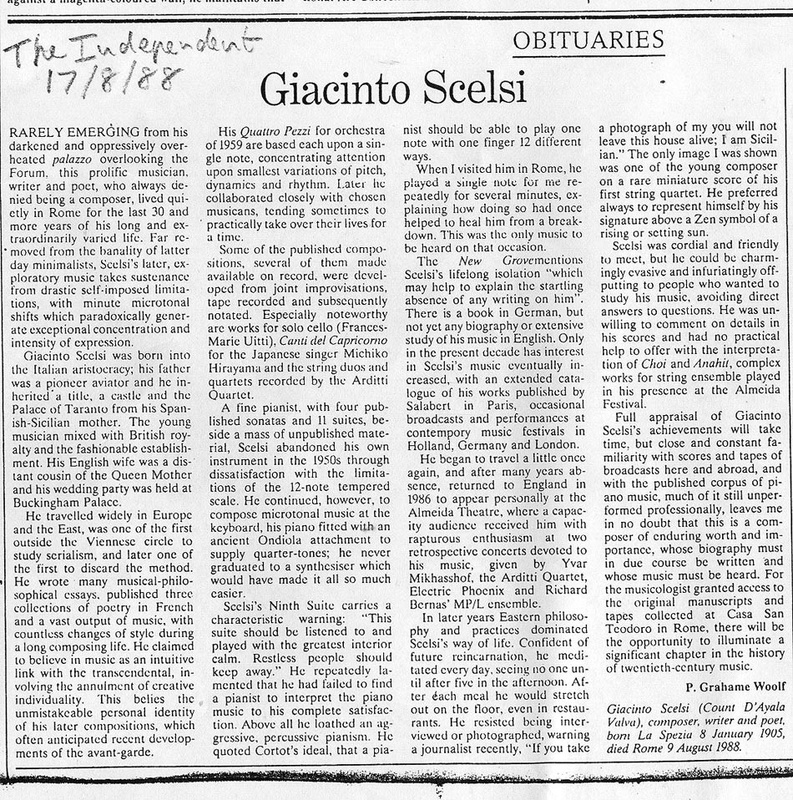 This still requires full elucidation; I published one of the earliest UK articles on Scelsi (Piano Journal 7/21: 1986) and The Times obituary below, and was involved in an abortive effort to broker between Harry Halbreich and Maurice Kahn, publisher, a long needed book in English on this important pioneer. 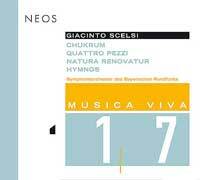 These Scelsi performances, all well recorded live from Musica Viva concerts, are riveting and the disc as a whole an ideal introduction for those (are there still some?) 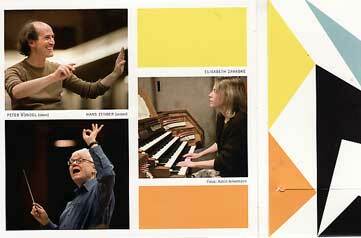 who haven't come under Scelsi's spell? The book-style presentation is alluring. Both these challenging CD releases are important for open-eared explorers of extreme byways in the development of 20th & 21st century music. Don't miss them!